"Know yourself, balance your life, and realize your full potential!" Ayurveda means "Science of Life and longevity". The principles are easy to apply in daily life. They balance the body, mind and spirit. Know your constitution and adjust diet, exercices and lifestyle to gain optimal Health and wellbeing. ​Sophie offers group classes and private session. 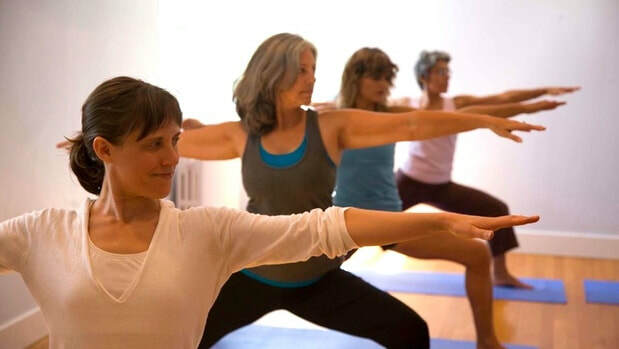 Sophie offers different types of group classes in the Temecula and Murrieta area: Hatha, Gentle and Grief Yoga. All classes are newcomers friendly. Each class provides body work, breath awareness and relaxation. She also offers private sessions for specific needs like Parkinson, ALS, Fibromyalgia, MS, stress management.